J. D. Charles Hall of Science and Arts under construction, 1949. Shown in comparison to the same building, complete in 1950. Beyler, Clayton, “J. 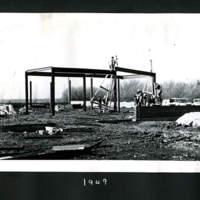 D. Charles Hall of Science and Arts under construction, 1949,” Hesston Public Library, accessed April 25, 2019, https://hesston.digitalsckls.info/item/1649. 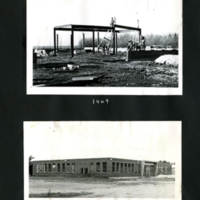 J. D. Charles Hall of Science and Arts under construction, 1949. Shown in comparison to the same building, complete in 1950. Photographed by Clayton Beyler.